"brutal lesson in geopolitics" - is he hinting towards a betrayal from a prospective so called powerful ally? snehil aditya and Angel Eyes like this. For some strange reason people in India seem to think that India is somehow on the backfoot in its latest showdown with China over the Dokalam trijunction. Some feel that should the situation continue or deteriorate, ‘strategic defiance’ may be the only option. This, however, is not the impression in Beijing. In private, the Chinese feel that they, rather than India, are caught in a bind, unable to resort to the use of force for fear of destroying the myth of nuclear deterrence, but still supremely confident that strategic defiance by India, on the other hand, will be economically and diplomatically disastrous for India. Having toured the area over the last seven days, there seems to be no escalation in troop numbers whatsoever. Landing in Lhasa, one could count about 12-14 Sukhoi family aircraft. And driving past the Shigatse airbase, given the difficulties of observing the tarmac, one could count between three and seven J-10 fighters. The entire Lhasa to Shigatse stretch also showed no signs of increased infantry activity, no spurt in military logistics and only some parade/TV optimised artillery lined up in Lhasa's marshalling yards along the Lhasa-Beijing railway. Clearly then, the only real ‘escalation’ that can happen is unarmed Chinese border troops coming into and squatting in Indian territory, as suggested by the Chinese ministry of foreign affairs earlier this week — a major ‘climb-down’, if one can call it that — from previous threats, which were ominous simply because of the lack of specificity. We also have a pattern of similar action across the South China Sea to judge China by. It has resorted to similar ‘sea grabs’ there, depending purely on the fear of the other parties to the dispute to avoid escalating the situation to fatalities. That fear simply doesn’t work with India, for the simple reason that both sides are nuclear-armed. This is particularly important as the situation thus far indicates that while India’s doctrine of deterrence may have failed on the western front (in all fairness, it was never directed against Pakistan), it has had a clear success in the east (where it was directed all along) by putting hard limits on how far China can escalate. The diplomatic and strategic costs of escalation for China now are severe, even if Indian warheads can’t reach the Chinese eastern seaboard, taking China down several pegs equating it with rogue revisionist states like Pakistan and destroying the image of it being a more or less ‘responsible’ player on the world stage. All indicators then are that short of an extremely serious miscalculation by the Chinese leadership, the situation has plateaued. The only spikes will be verbal, and that too from the Chinese side. Which also complicates things for the Chinese leadership when it chooses to de-escalate. It, however, seems to have realised its mistake after its first attempt to do so — claiming that India had reduced the number of troops. The furious denial by India caught it off guard with colleagues in Beijing admitting that they had miscalculated, and not factored in how this would be perceived in India domestically. All up, we seem stuck in limbo. Escalation is not an option for China. But de-escalation also seems impossible, till public attention is shifted elsewhere. On the other hand, it is high time the Indian media also realise what the MEA and PMO seemed to have long back — that Indian strategic defiance is a non-starter. China’s massive infusion of finished goods, such as mobile phones, are the core drivers of the Indian economy and impossible to substitute. Equally, if we choose to go against China, we might as well kiss goodbye to any chance of UN Security Council and Nuclear Suppliers’ Group (NSG) membership. In this situation, Dokalam is a win, an emphatic win, the best possible under the circumstances, marking the first serious Indian (and arguably global) pushback to Chinese salami tactics. Btw Maj Gen level talks are to be held today in the evening. I've a feeling this one is gonna fail too just like the Brig Level talks few days back. I don't know much of astrology, although I respect it as a science. But @vstol jockey here is an expert and he pointed this out. So I was just re-confirming. Caution level" among the troops in the eastern sector also been raised: Officials to PTI. India enhances troop level along the entire stretch of its border with China in Sikkim and Arunachal Pradesh: Govt officials to PTI. I had stated that the problem for China is safety of CPEC and OBOR and that China has used North Korea and Pakistan to tie down three of the top four economies of the world like US, Japan & India and top three of Asia, Japan, India & South Korea. They are applying the rules of Sun Tzu which says use others knife to kill your enemy. Chanakya neeti says if the enemy is stronger than you, take help of a superior king to defeat the stronger opponent. If a war breaks out between India and China, it will spill over to Pakistan and North Korea with Japan, South Korea, Australia, India and Philippines as part of this grouping. The kind of force levels needed to take out Pakistan are more than adequate in India and China will have to fight a three front war if it so happens. Chinese are in for a major shock in SCS and their land borders with Korea, India & Vietnam. enquencher, zebra7 and Sweet-detention like this. Chinese will be using flooding to indian troops movement. You can pick up the bat phone at any time. 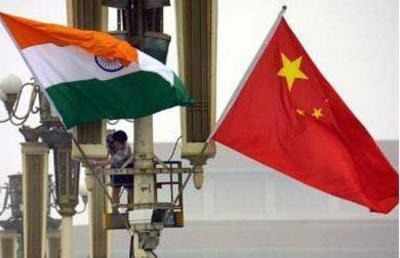 NEW DELHI: Is China playing out its 'Three Warfares' strategy against India? 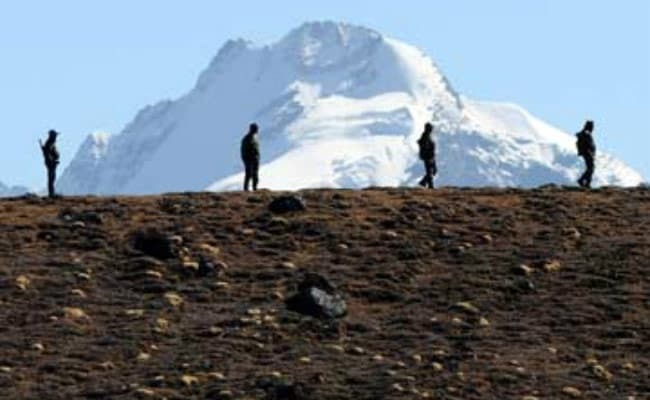 Indian strategists who are involved with China in the current Doklam crisis believe China has now fully operationalized this concept and is applying it to the Doklam crisis. The provenance of the 'Three Warfares' is not fully established. But according to sources, in 2003, China's Central Military Commission (CMC) approved the guiding concepts for "information operations for the PLA, also known as "Three Warfares" (san zhong zhanfa). It was reinforced in 2010. Comprising public opinion/media warfare, psychological warfare and legal warfare, the Three Warfares have been critical components of China's strategic approach in the South China Sea+ and beyond. It is now being applied in the Indian context. In 2016, this concept was at work after the UNCLOS tribunal ruled against China in a comprehensive verdict dismissing China's claims in the South China Sea.+Despite the fact that the Philippines achieved a major international victory against the depredations of a more powerful but more aggressive neighbour, China, with its application of the Three Warfares, was able to successfully co-opt Rodrigo Duterte (Phillipines President) to its side. One year later, China has emerged victorious. Nobody mentions the UNCLOS ruling, and the Philippines has submitted to Beijing's superior power. In the Doklam context, China has been using this concept to influence domestic and international public opinion in support of China's actions — in this case trampling over Bhutan's claims and ripping up the 2012 agreement on tri-junctions. China's state-owned media, foreign ministry, defence ministry and even foreign minister Wang Yi have let loose a barrage of statements+ and press briefings and commentaries, with the intention of dissuading India from its actions at the site. With every Indian media outlet amplifying the Chinese message, the idea is to use Indians to put pressure on the Indian government and get them to withdraw, largely by doubting India's own assertions. Closely related is the psychological warfare unleashed by China — this has been everything from calling Sushma Swaraj a "liar"+ to saying the "countdown had begun"; assertions that China would rescind its decision on Sikkim or "free" Sikkim from Indian oppression; or that it could interfere in J&K"-- all intended to "undermine India's ability to conduct combat operations through psychological operations aimed at deterring, shocking and demoralizing enemy military personnel." Suddenly, pictures of 1962 war were flashed through Chinese media, which remains a sore point in India. Some Chinese commentaries even said 1962 veterans would send their children to fight India, since that was how angry the average Chinese was. Yet, As TOI pointed out+ some time ago, the Doklam issue was not among the top 50 trends on Weibo, their social media platform, which boasts 560 million followers! The Indian non-response has been the worst thing for China. India's China experts have led the way in the government and even the opposition refused to react to China's tactics to prevent China from executing a war without firing a single shot. In 2016, the 'Three Warfare' operations exerted a strong "psychological frightening force" on everyone connected with the South China Sea issue. Official Chinese media described the arbitration as a "farce" which did not need to be obeyed, while officially the Chinese ambassador to the US, Cui Tiankai, argued that the arbitration case would "undermine the authority and effectiveness of international law," justifying China's rejection of it as a defense of "international justice and the true spirit of international law". So China, the rule-breaker suddenly became China, the rule-defender. 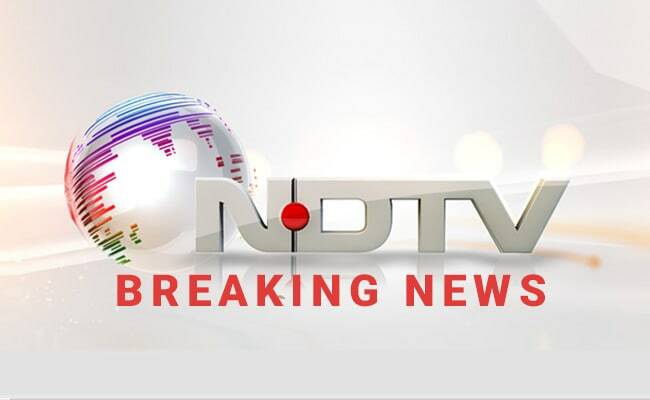 Something similar is underway vis-a-vis India now, sources believe. Earlier this week, a Chinese official claimed that Bhutan had "accepted" Chinese sovereignty+ on Doklam forcing Thimphu to have to refute it. Thimphu could have, as Manila did, refrained from an official denial, which would have been recorded as a Chinese victory. While China claims Doklam as its own, they have conveniently glossed over the fact that Bhutan and China have held 24 rounds of talks on this dispute. As historian Srinath Raghavan has pointed out, the 1890 convention which China suddenly swears by, was not binding on Bhutan. The Chinese claim that Mt Gipmochi should be the tri-junction as mentioned in the 1890 convention is also "problematic." "The principle of defining the boundary therefore was the highest watershed: the highest line of mountains separating the rivers flowing on either side. This is the most logical way of drawing a boundary in mountainous regions. However, subsequent surveys showed that Mount Gipmochi is not on the highest watershed in the area. The latter is the line running from Batang-La to Merugla to Sinchela and then down to the Amo Chu river." He continues, "The Gipmochi peak is at 14,518ft above the mean sea level, while Merugla and Sinchela (both passes) are respectively at 15,266ft and 14,531ft. The Batangla-Merugla-Sinchela line is undeniably the highest watershed in the region. Hence Bhutan claims it as the boundary line with Tibet and regards Doklam area as its territory. Hence, India claims that Batangla should be the tri-junction." But by now, China has flooded the media and airwaves with its contention that first, the 1890 Convention is sacrosanct (although China refuses to accept the 1914 convention and McMahon Line of 1914) and that Mt Gipmochi is the tri-junction not Batang-La. In addition, as Raghavan points out, if China is right and there was no dispute, why has China been holding talks with Bhutan? Writing for IDSA, research fellow Abhijit Singh wrote, "The evolving Chinese 3Ws strategy goes beyond mere propaganda wars and misinformation campaigns. Expanding conventional war dynamics into the political domain, the 3Ws appear aimed at undermining India's organizational foundations and target military morale. More disquietingly, the strategy appears designed to subdue India without even needing to fight." India is "behaving like a mature power" in tackling the Doklam standoff in the Sikkim sector and making China look like an adolescent throwing a "temper tantrum", a top American defence expert has said. India and China have been locked in a faceoff in Doklam for the last 50 days after Indian troops stopped the Chinese People's Liberation Army from building a road in the area. Praising India's conduct over the matter, James R Holmes, professor of strategy at the US Naval War College, said, "New Delhi has done things right thus far, neither backing away from the dispute nor replying in kind to Beijing's over-the-top rhetoric." "It is behaving as the mature power and making China look like the adolescent throwing a temper tantrum," Mr Holmes said. Mr Holmes said it was "weird" that China wanted to keep alive a boundary dispute with its most formidable neighbour. "If China wants to pursue an assertive maritime strategy, it needs secure borders on land so it doesn't have to worry about overland aggression from its neighbours," Mr Holmes said. "In other words, confronting India in the Himalayas is not a purely rational course of action driven by rational cost/benefit analysis," said the professor. On why the US has remained silent so far on this issue, he said the current administration has too much on its plate. "It's also possible Prime Minister (Narendra) Modi and his advisers don't want the United States involved in a Himalayan dispute it has little way of influencing. If the dispute escalates, chances are Washington will come out in support of New Delhi," Mr Holmes said. Angel Eyes and vstol jockey like this.